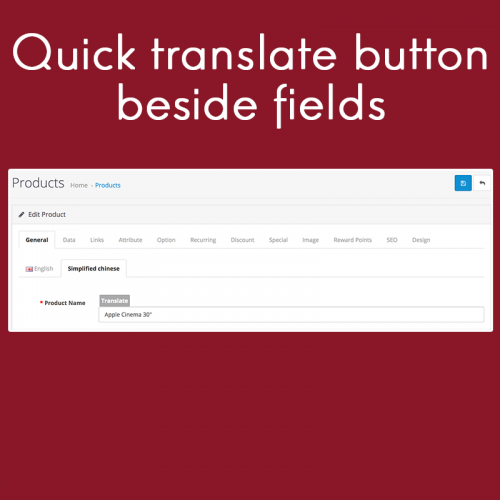 Tired of manually translating your data in your OpenCart store? 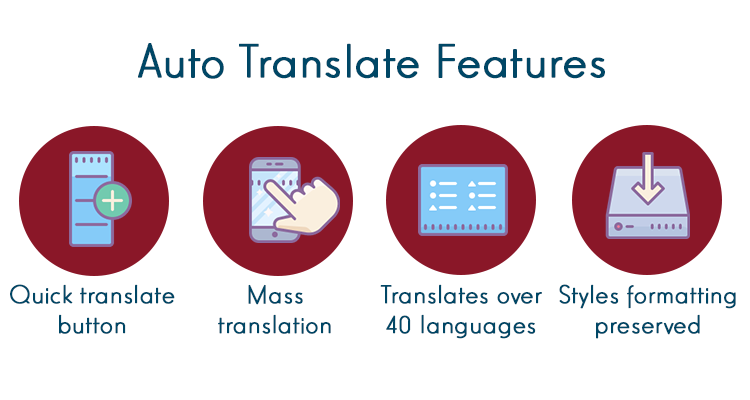 Looking for automated translation that’s affordable? Auto Translate will do just the job! 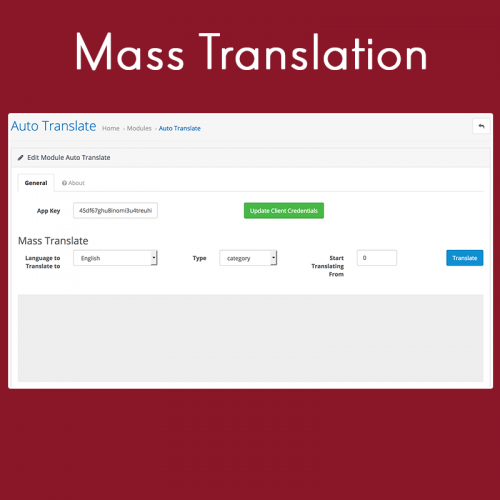 Using Microsoft’s translation API, accurate translation is done automatically, right from your administration panel. Note: You will need to sign up with Microsoft to use their translation API. 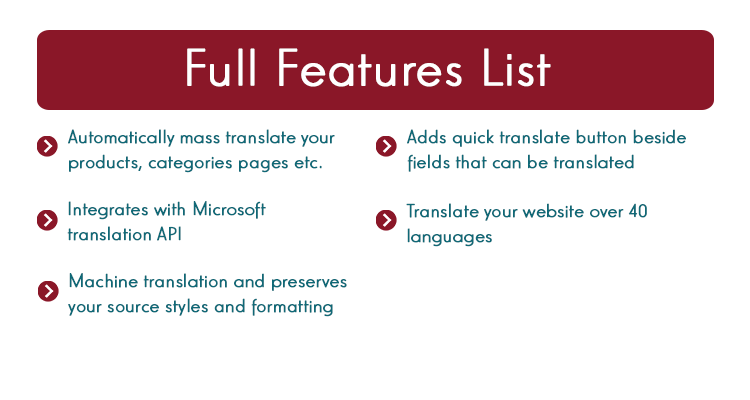 Microsoft has a free tier that supports up to 2 million characters translation per month! Credit card is required to subscribe to Microsoft Azure (your card wouldn’t be charged unless you use more than the free limit).